Fresh grassy-citrus scent with an Earthy undertone is refreshing, stimulating and soothing. Lemongrass (Cymbopogen citratus) is a grass in the same family as citronella. 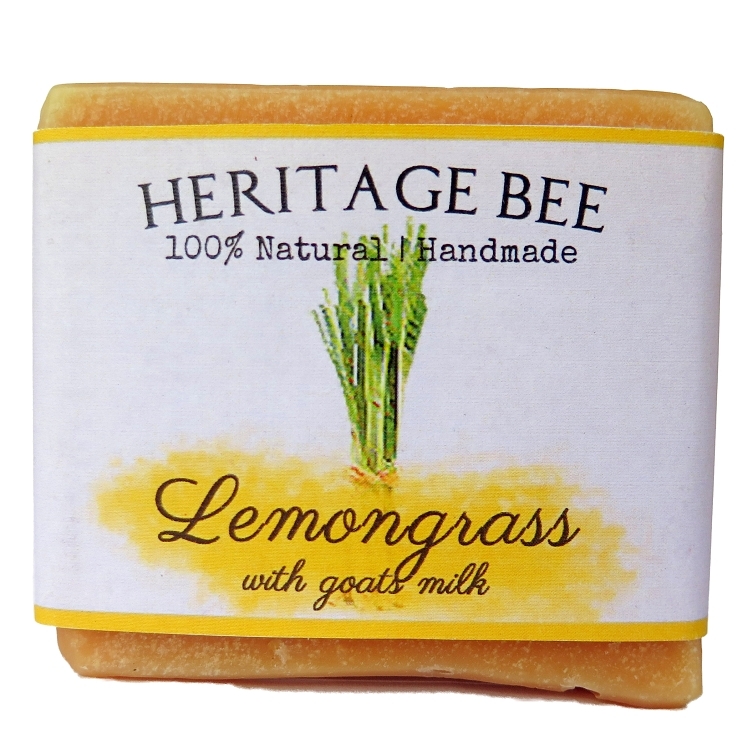 Heritage Bee Farm Lemongrass Soap is hand made from a blend of Goats Milk, olive, coconut oil, palm oils. We use a high quality lemongrass essential oil to scent this soap and our Lemongrass soap is sure to become one of your favorites. Wonderful for all skin types. This captures the lemon scent better than any soap I have ever seen! It is not artificial lemon, but real lemon smell. You cannot ever go wrong with Heritage Bee soaps! The soaps all smell so fresh and pure and clean and I am crazy about their packaging! Everything they sell is high quality and the way design their labels makes fantastic first impressions when you are giving them as gifts! I keep them on hand to grab as a quick gift to give a coworker or hostess or friend. I love them!